Rehnquist was a Phoenix, Arizona, attorney from 1953 to 1969, active in conservative Republican politics. President Richard M. Nixon appointed him an assistant attorney general in 1969 and nominated him to the U.S. Supreme Court in 1971. Citing his hostility toward civil rights, Senate liberals tried unsuccessfully to defeat the nomination. His steadfast conservatism on the court prompted President Ronald W. Reagan to nominate him as chief justice in 1986. 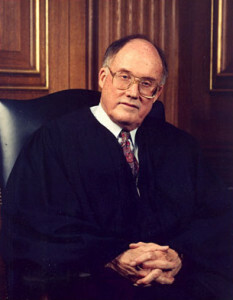 Rehnquist dissented from the high court’s reaffirmation of abortion rights and its protection of gay rights.